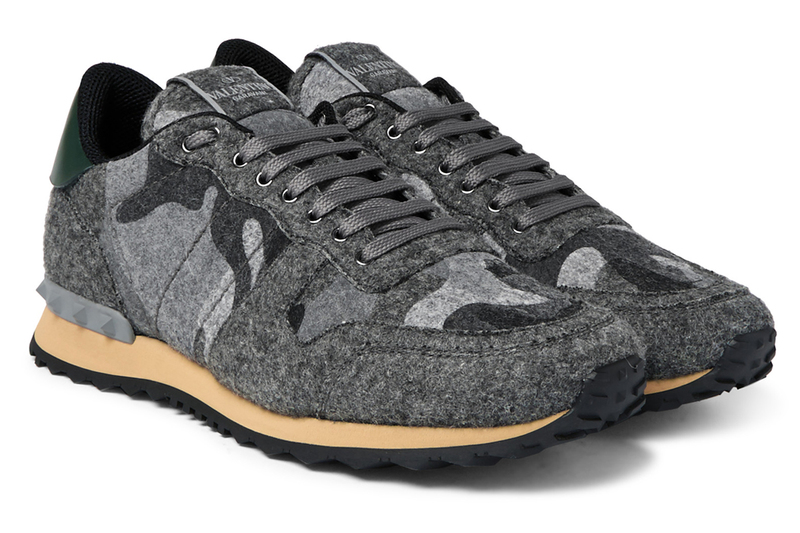 As far as these Rockrunner sneakers from Valentino go, they are as close to perfection as it will get for me. Take their signature camouflage print, in a dusky, gorgeous grey-on-grey and put it on felt, a combination that already makes me weak in the knees. That, coupled with the grey rubber studs and the contrasting beige sole has me reaching for my credit card. The final deciding factor? That stunning heel tab in deep forest green that not only completes the entire sneaker, but also makes it a pair that will go with most anything you have in your wardrobe. This time around, we’re seeing lots of designer brands keeping-up with the trends in street fashion. Case in point: Chanel’s line of fabulous sneakers! Well, these pieces are totally to-die-for in terms of design and fit, and we’re here to show you these babies (and perhaps, convince you to take a double look). Some weeks ago, we were able to feature another frontrunner in designer wear, Alexander Wang. The fashion house has managed to release their own contribution to street fashion with their Sneaker bags. You can check out the link below. We’ve reached the end of our feature, ladies! Are there any pieces in particular that were able to tickle your fancy? Well, comment now and let us know! Today, we’re going to introduce you to a collection of shoes that’s a cut above the rest – Alexander McQueen in collaboration with Puma, recently launched a line of designer trainers and sneakers which are really high fashion (you can tell by the sneakers’ beautiful craftsmanship and design). Of course, the two powerhouses in both fashion and sportswear couldn’t leave out the important parts, like having it specialized with sport tech approaches to suit your needs. Runners and trainers never looked this good! This line is the first collaboration between the two giants, and we cannot help but be impressed by the outcome! Lately, sneakers are getting visible in high fashion, and what a great way to cap it all off by having this collection right? Honestly, the pairing of both authorities is sort of unlikely, but they made it work – and boy did it reap great rewards! Don’t you think the designs are so edgy and chic? If you’re a sporty gal with a knack for great fashion, then these steppers are for you! Prices for these babies range from €200 – €360 EUR. You can get your very own Puma x Alexander McQueen sneakers now via Alexander McQueen online boutique. Rock it, girl!